The seminar in Albuquerque, New Mexico, at the beginning of October, 2016 was the second seminar that I have attended. 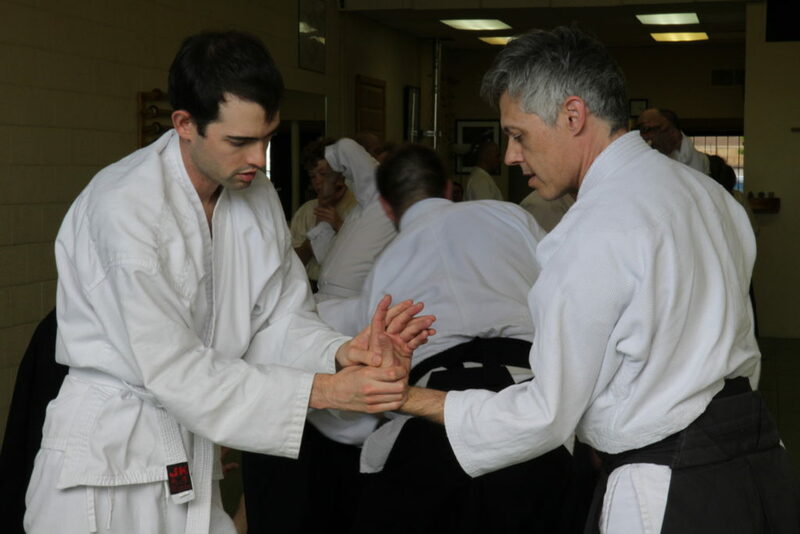 I am still new to the practice of Aikido, and deciding to attend classes was a test of nerves. I do not have the physical characteristics of a professional fighter, and am not the kind of person anyone would assume has an interest in Martial Arts. 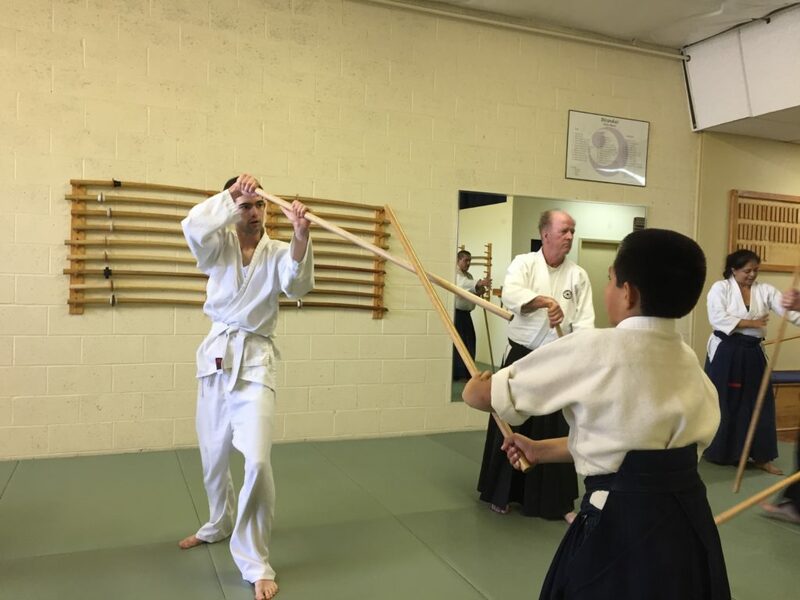 A major reason I have been willing to regularly train at the Aikido of Albuquerque dojo, is the welcoming atmosphere for students who are new to Aikido specifically, or fighting styles in general. This same concept carried over to the fall seminar, which made the event enjoyable. Discovering the Junior Kenshusei programs at the Aikido of Albuquerque dojo provided me with a boost of confidence. Observing a broad range of ages and sizes among the students and attendees of seminars enforced the feeling further. I’ve heard that techniques that can be used against any opponent, but I never really believed it until I witnessed teens in high school or younger children performing ikkyo on an adult twice their size or larger. It is a hard truth that age slows everyone down, but people at seminars old enough to be my grandparents seem to be entirely capable of taking ukemi just as well as the younger attendants. While the variety of people at the seminars was inspiring, I also found that it brought a sense of urgency. I’m aware that I won’t be able to keep up with someone who has been training for years, but at the same time practicing techniques with advanced students brought the desire to try to prove that I was making progress. Also, the days passed quickly and assigned techniques changed rapidly. Knowing that people at the seminar had traveled from out of town, and likely from out of state, created the urge to make the trip worth their while. The feeling caused me to move too quickly during training, which also made me sloppy. As the days went on the people seemed to realize that I was moving too fast for my own good and made it clear that they were willing to go slow when working with me. In addition to the attendant’s willingness to take their time training, the Sensei took a few moments intermittently throughout the day to review the basic concepts that were being emphasized to keep everyone on track throughout the seminar weekend. Immersed in Tachi waza Te-waza during the fun. Overall it was the welcoming environment that made the seminar enjoyable. The feeling in the dojo was not exactly relaxed; there was definitely a sense of seriousness and commitment to the training and conditioning and everyone was pushed physically. However, there was also the sense of respect and understanding for individuals without an intense background or years of experience. That balance resulted in a supportive learning environment and an overall worthwhile experience. If that same concept continues to other locations then I am entirely willing to attend another seminar.